We realize polycarbonate or polyester keyboards in different superficial finishes (glossy-matt-scratch resistant), flat or deep- drawn, with or without adhesive. Polycarbonate or polyester keyboards are often used in electronics. 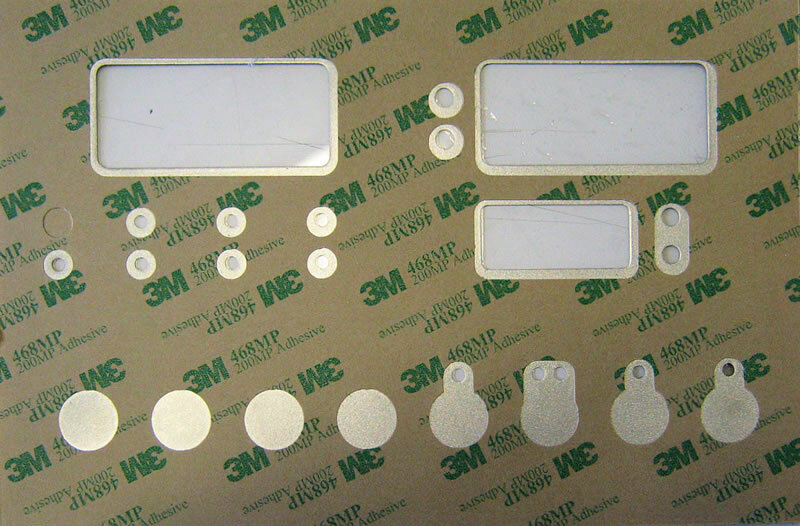 They are applied on appliances, electromedicals and generic electronic devices as control panels, control keyboards and simply as decorative plates. Back screen printed polycarbonate panels are the best the actual technologies offer to obtain a high quality and low cost front plate. The back screen printing by means of UV or vinyl inks grants an indelible printing against handlings and wears, the right adhesives guarantee a perfect and durable adherence on the underlying surface. 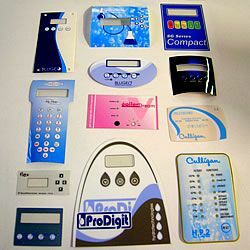 Single or multicolour printing, also four-colour process, formed and die cut objects in several forms and sizes. Transparent windows for leds and displays can be realized. 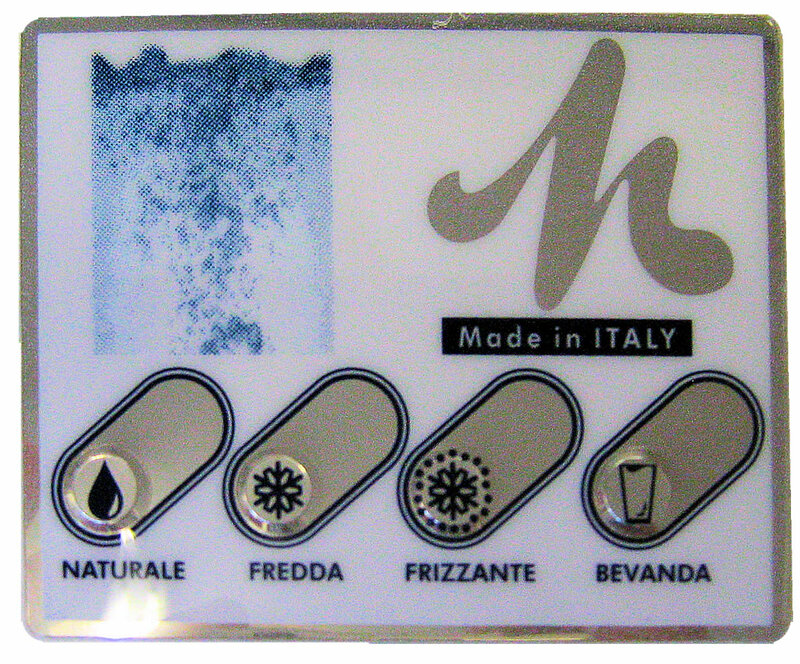 For small amounts or four-colour graphics we can use digital printing to avoid machinery and screen printing loom costs. In glossy polyester keyboards, silver chroming available.